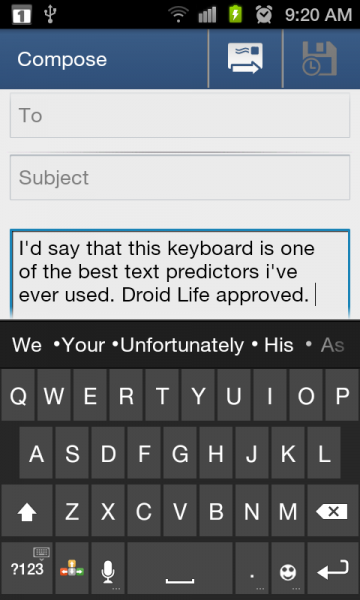 We may have just been introduced to our new favorite keyboard. 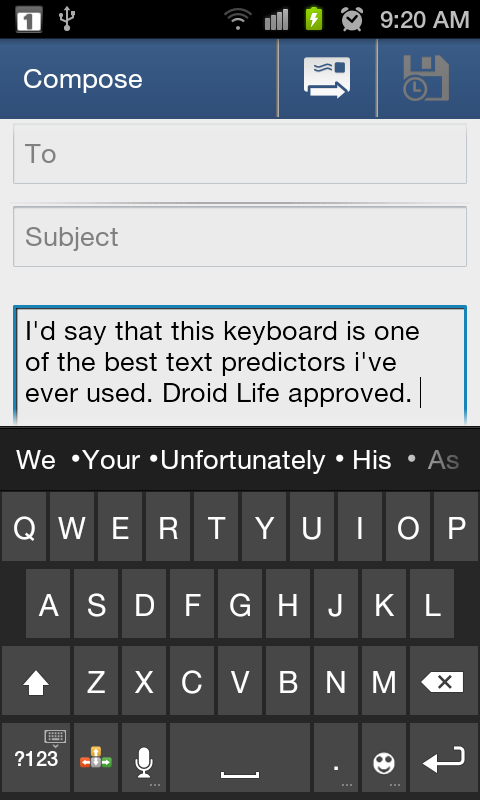 OK, that may be jumping the gun a little, but A.I.Type (AIT) Keyboard has certainly left a strong first impression on us in just the few short minutes that we have had with it. 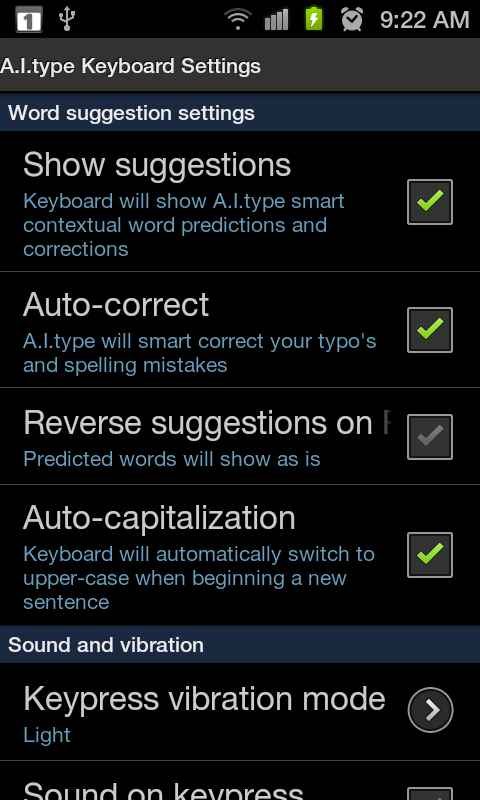 Following Swiftkey’s lead, AIT employs the text-predicting model rather than the swiping, and does it quite well. Not only that, it also brings with it some of the BlindType-esque error correction engine that we saw in August of last year. You can miss letters while typing words, but as long as your are in the vicinity of the correct letter, AIT should give you proper results. We should also point out that this keyboard is fully customizable. 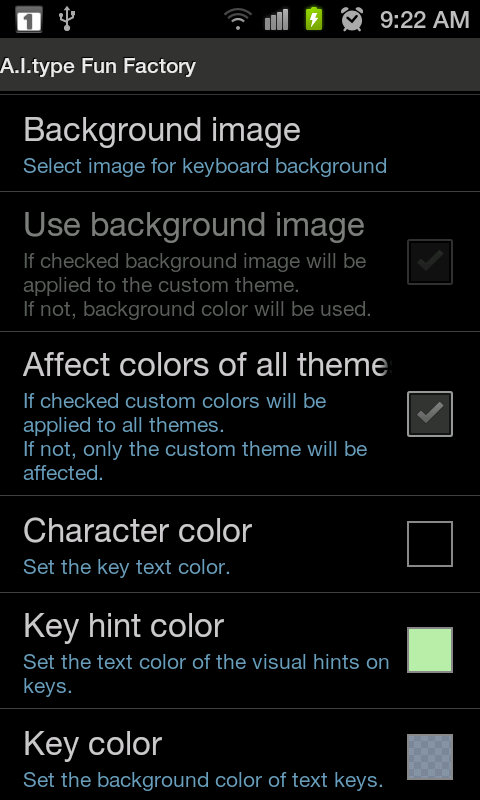 First, they offer you an array of popular keyboard layouts, but then let you take it to a new level by allowing custom background images and key colors. Oh yeah – it’s also free.